At the same time, introducing new projects and capabilities into existing processes – often at short notice – to meet customer demands is a must for energy and utility companies. Stand out in a sector where products are similar through delivering a superior customer experience. 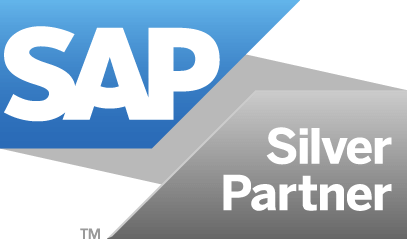 Better, faster and safer SAP changes are key to happy customers. Introduce SAP agile and DevOps to accelerate the delivery of applications and enhancements and confidently meet stringent regulatory and production requirements. Respond quickly to satisfy customer demand for new solutions and services. Eliminate time-consuming manual processes which limit the ability to meet the need for speed. Predictable, automated processes enable utilities employees to expertly manage large volumes of SAP change, introducing new projects faster and improving the customer experience. Adopt agile and DevOps capabilities in your SAP environment to speed up the delivery of applications and enhancements. Improved cross-team communication and the removal of organizational silos makes it easy to deliver SAP change at the pace required. Achieve greater customer responsiveness with the integration of key automated tools and processes into an end-to-end approach. Reduce the threat of a systems shutdown with the elimination of high risk manual SAP change processes. Banish inconsistent change processes that increase the threat of unscheduled downtime. Automate critical tasks and enforce predetermined change control processes, speeding up change management without production systems grinding to a halt. Simplify internal governance with control change automation which documents each and every change. Now utilities can automate error-prone manual tasks and establish consistent change and release processes, enabling conflicts to be resolved in advance. Quickly realise the level of enforcement required to reduce threats to production system stability and deliver audit-ready documentation. Think there could be a spark between us? Submit this form and we’ll get in touch to see how Rev-Trac can meet your business needs.